Contents: Preface. Complementarity Principle. Sensory Aggregate Model. Stevens Functions. Weber Functions. Piéron Functions. Unified Sensory Laws? Memory Psychophysics. Number Preference Model. Judgment Option Model. Ekman Functions. Context and Magnitude Estimation. Context and Category Estimation. Sequence Effects. Absolute Identification. Unified Judgment Principles? 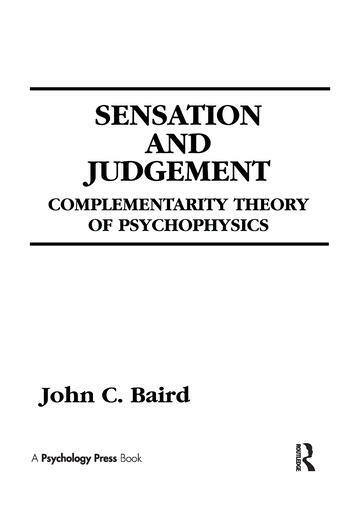 Multidimensional Psychophysics. Sensation and Perception. References. Author Index. Subject Index.